An article in today’s Forbes relates directly to the required changes required by health professionals in the utilizing The Digital Revolution to transform healthcare. 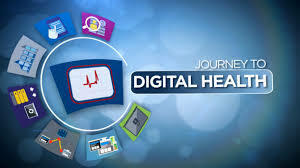 In the article (https://bit.ly/2FelDKZ) by Adi Gaskell, he indicates the primary holdback in achieving the digital transformation is the lack of suitable skills in the medical workforce. The article cites work from an NHS report by Dr. Eric Topol which assesses how new technologies will influence the roles and functions of clinical and support staff and identifies new skills required. Patient empowerment - with new tools enabling patients to take a more active involvement in their own care. Driven by evidence - with any introduction of new technology driven by evidence rather than hype or the latest trends so that stakeholders can trust it. Saving time - healthcare is a notoriously time-pressed environment, and so the adoption of technology should strive to return time to professionals to deliver better care. In the report Dr. Topol states: "The education and training of the existing workforce, along with the preparation of an appropriate pipeline of talented future staff, will be key to the success of any programme of change designed to empower staff to take advantage of the advances in technology to improve service delivery"
As with other industries, Topol suggests that in addition to upskilling medical staff, he that new methods of training, such as Massive Open Online Courses (MOOCs), will play a key role in the delivery of training and development, whilst technologies such as augmented reality could also play a role. Guy Paterson is Co-Chair of the Saskatchewan Chamber of Commerce - Health Opportunities Group and represent soley his opinion.